I had passed out 12 from up board and i secured 79% and i had beaten the cutoff list of this college. I had chosen this college because it gives a good knowledge and famous for it. 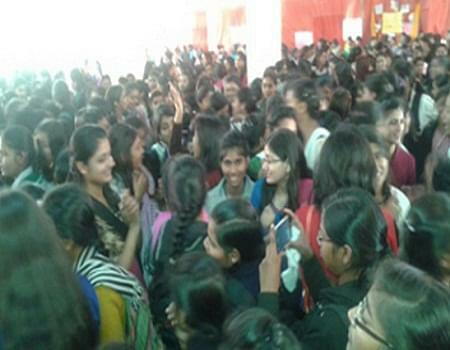 Navyug Kanya Degree College offers quality and value-based education to girl students in Lucknow. The college not only excels in the sphere of providing quality education, but also provides ample opportunities and every facility for the overall development of all its students. This institution of academic excellence for girls operates with the mission of imparting good quality education in different areas. Management of the college strives very hard to render contemporary education that is relevant or the society. It is the first college in UP to achieve permanent affiliation for postgraduate courses. It also holds the distinction of being the only and the first college in Uttar Pradesh to organize a convocation for the facilitation of its meritorious students. Technical Facilities- Web-cameras, xerox machine, printers, LCD projector, overhead projector, fax machine and laptops for student use. 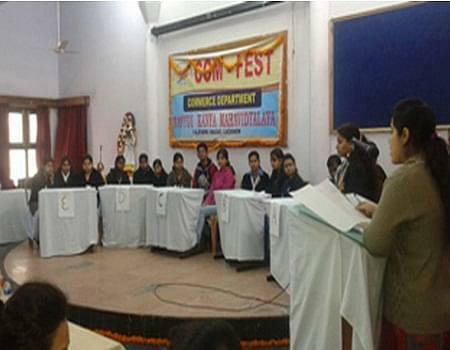 Grooming and Talent Search by Professionals- College cultural committee assesses and identifies dominant skills and inherent potential of students. Career Counseling- Experts visit the college for counseling students on choice of careers. Skill Development Courses- Aerobics, choreography, anchoring, photography and other courses for increasing employability quotient of the students. Vocational Training- Personality development programme for polishing employability skills of students. Parent Teacher Forum- Platform for faculty and parents to share academic growth of students. Reputable Alumni- Dr. Archana Sinha, Associate Professor NKMV; Kalpana Gupta, General Manager, RBI; Anuradha Saxena, Executive Cadre, SBI and Pratibha Ambedkar, Topper in IAS.